I just got an early birthday present from my mom! 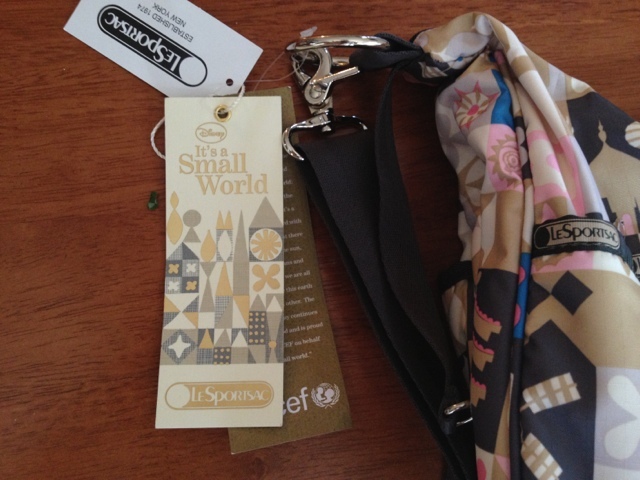 It's the LeSportsac Jessi Baby Diaper Bag,Global Journey It's a Small World. It is so cute! 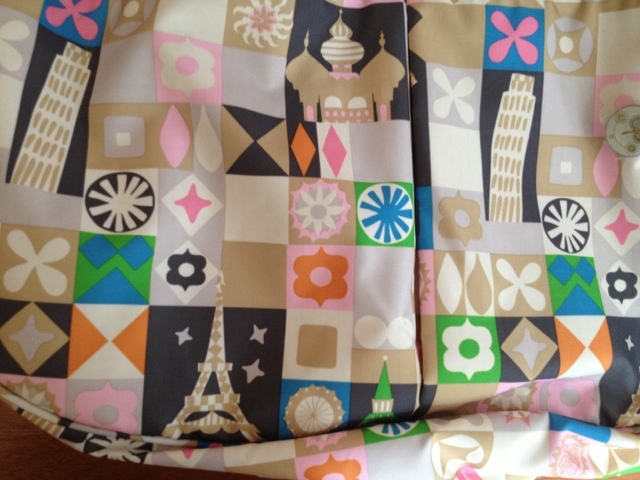 It has the iconic Disney It's a Small World ride style designs of the Taj Mahal, the Eiffel Tower, Leaning Tower of Pisa, etc. 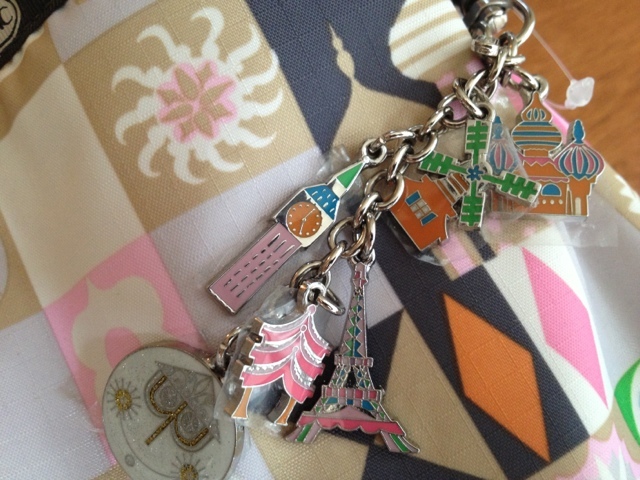 with little charms to match. 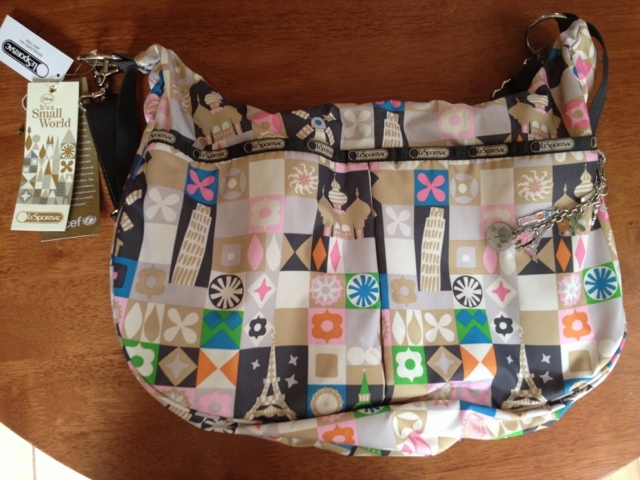 I'm pretty excited about my new diaper bag and can't wait to bring it to Disneyland.